ROSEWOOD BARBER is a reinvention of the traditional men’s grooming experience. Taking a modern approach, inspired by fashion trends and styles, we’ve evolved the basic men’s haircut into quality, tailored services striving to exceed clientele expectations. 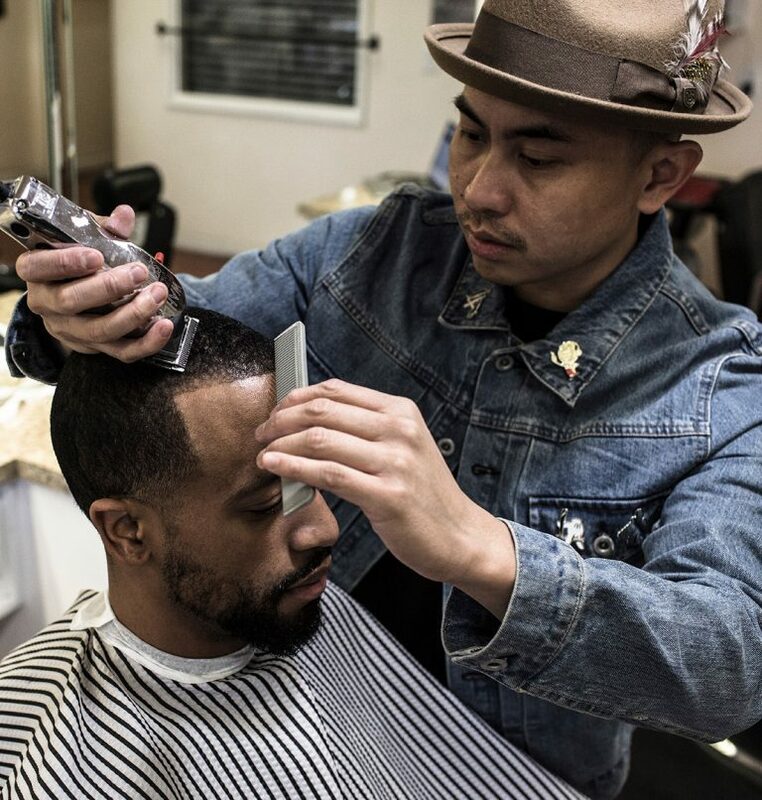 Rosewood Barber is a family owned operation with locations in Bellflower, Buena Park, and Los Angeles. Francis Sampang set forth to conceptualize haircuts in a way that would represent a complete look. Surpassing the limitations of just a haircut, he wanted to establish the barbershop as a place of style. Incorporating a retail component in the shop, Rosewood transformed a traditional barbershop into just that. In 2007, Rosewood Royale opened next door expanding the retail direction of Rosewood with a separate brick and mortar location carrying an assortment of popular streetwear brands. Three years later, Francis decided to specialize the boutique aspect and co-founded Rosewood Cutters; an internal apparel and merchandise brand. Rosewood Barber has emerged as a premier men’s grooming destination in Orange County and in the Los Angeles area. Bringing the same craftsmanship and attention to detail to the newest location, Rosewood looks to expand the company while continuously striving to perfect and provide the best haircut experience. The Los Angeles chapter of Rosewood Barber was designed by Henry Cheung, of Bestor Architecture, with the intentions of it being the cornerstone of all future Rosewood shops. Breaking away from the mold of traditional “old school” shops while also considering the prime location on La Cienega Boulevard, Rosewood Barber Los Angeles brings a modern elegance to a classic profession and epitomizes the future of barbershops in the 21st century.